Thank you to Soho Crime and Astoria Bookshop for this review copy. I've always been a fan of Nordic Noir and strong female leads. 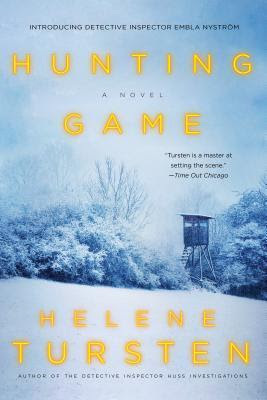 I love that while Embla is a police officer, this is less police procedural and more about her life outside of it... and on a hunting trip no less. I'll be honest, I'm not a fan of hunting - however, I can see past it if the hunted actually get eaten and it's not just for sport. But let's get back to the book, shall we? At less than 300 pages, this book just flies. 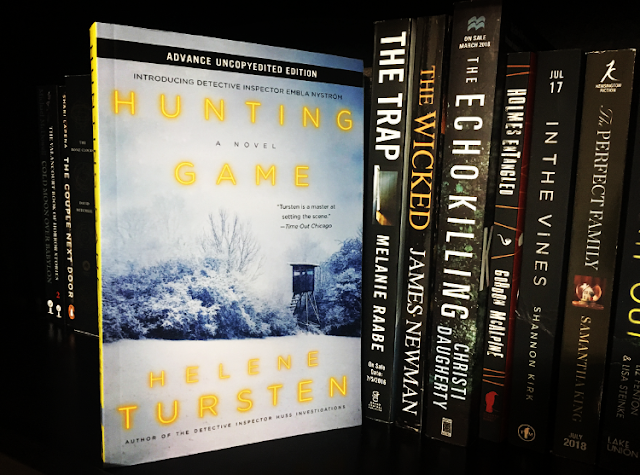 Tursten builds at atmosphere surrounding Embla and the hunting party she hunts with on a yearly basis and brings in death and an undercurrent of Embla's horrible history with men. I love the pacing of this book and how quickly I became involved with Embla. While I didn't feel as connected with the crime aspect of this book, I did enjoy the groundwork on Embla's character as a start to a series that I think will just get better with each book. I didn't quite understand the reasoning behind the villain's actions - I felt this part was a bit confusing. I think this being the second book in a row where it doesn't quite make perfect sense to me dropped my enjoyability of this book just a tad. Overall I do enjoy this type of read and Tursten certainly brings some sparks to this fire. Those who enjoy nordic noir, the outdoors and a flawed but strong female lead with enjoy this outdoorsy read - there's nothing more chilling than being stuck out in nature with a killer on the loose. I think fans of Camilla Lackberg and Camilla Grebe will enjoy this book - though it's a bit less dark and complicated... for now.